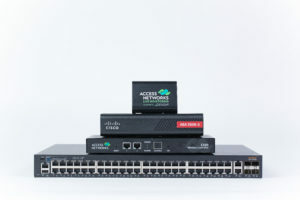 Access Networks Provides Seamless Network Infrastructure Configuration for Crestron NVX Video Over IP Distribution | KMB Communications, Inc.
Los Angeles, CA (July 23, 2018) – Access Networks, the premier enterprise-grade networking solutions provider for the modern smart home, and a long time Crestron I2P partner, now offers preconfigured solutions optimized for Crestron NVX deployments. Access Networks’ Core2 and Core3 custom-programmed networking solutions are now certified to work with Crestron’s DM-NVX Series of AV over IP encoders/decoders. The standardized configurations ensure deployments are seamless and efficient for dealers integrating Access Networks’ Core Systems with Crestron NVX products. IP infrastructure is the future of video distribution. Delivering superior image quality with no latency, the new Crestron DM-NVX system is the only secure solution to deliver 4K60, 4:4:4, and HDR video over standard 1gbps Ethernet. Access Networks Core systems provide the high bandwidth and low latency today’s video distribution systems need. Coupled together, DM-NVX and Core are an easy to deploy solution for new installations as well as retrofit projects. “Crestron always and only partners with the best, and Access Networks certainly fits into that category. This partnership enhances our client’s options in providing a flawless Video solution over IP which in turn provides the most important portion of what Crestron wants to deliver, the best user experience by far” John Clancy, VP Residential. “As we enter this new era of video distribution, integrators can deploy this next-generation system with confidence. Our partnership with Crestron ensures the homeowner will have the technology experience they demand and expect,” says Access Networks Founder and CEO Hagai Feiner. “We continually collaborate and innovate our network designs based on mutual feedback between the two companies”. Access Networks’ Core2 is a flat (or, layer-2) network core with a single IP scheme for the entire scope of the project. Core3 is a multiple-VLAN (or, layer-3) network with up to six pre-configured VLANs for network segmentation. 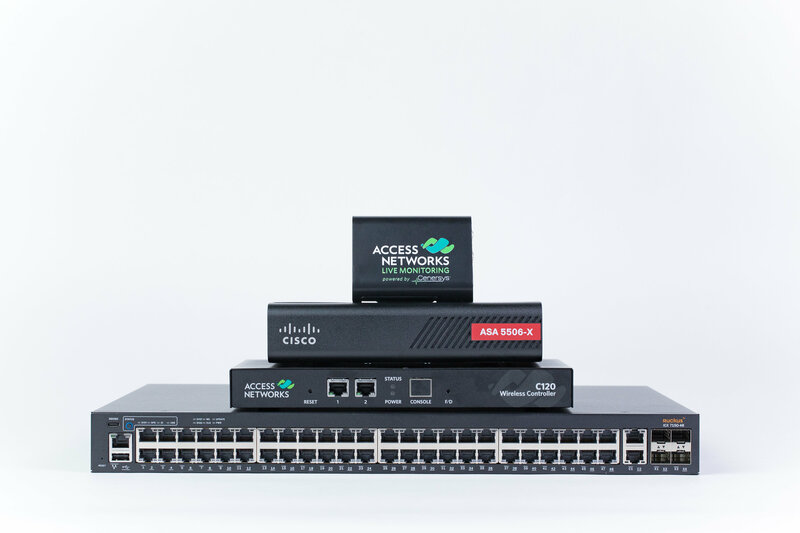 Since all Ruckus ICX switches utilized in this system are capable of layer-3 functionality without the need for a hardware change, Access Networks is able to provide true layer-3 configurations more affordably than previous multiple-VLAN solutions. As a Crestron I2P partner, Access Networks’ Core2 and Core3 products will work in lockstep with Crestron products to provide consistency in an increasingly complicated landscape of IP-based products that “ride” on the home network. To make it even easier, Access Networks Core systems also includes four years of support from its industry-leading team of certified support engineers, providing a future-ready solution as network requirements change over time. Crestron builds the technology that integrates technology. Its automation and control solutions for homes and buildings let people control entire environments with the push of a button, integrating systems such as AV, lighting, shading, security, BMS and HVAC to provide greater comfort, convenience and security. All of its products are designed and built to work together as a complete system, enabling you to monitor, manage and control everything from one platform. Crestron products are backed by more than 90 fully staffed offices that provide 24 x 7 x 365 sales, technical, and training support across the globe. In addition to its World Headquarters in Rockleigh, New Jersey, Crestron has sales and support offices throughout the U.S., Canada, Europe, Asia, Latin America, and Australia. Discover Crestron by visiting www.crestron.com. Access Networks is the premier enterprise-grade networking solutions provider for the modern smart home. We design and maintain sophisticated network solutions based on a simple premise: keeping our customers connected. Access Networks assists custom integrators by working to specify, select, source, and configure the networking gear before it is shipped to the project site. From design and deployment to service after the sale, we are here to ensure our network solutions meet the bandwidth demands of today’s AV and control components and enhance the overall technology experience.